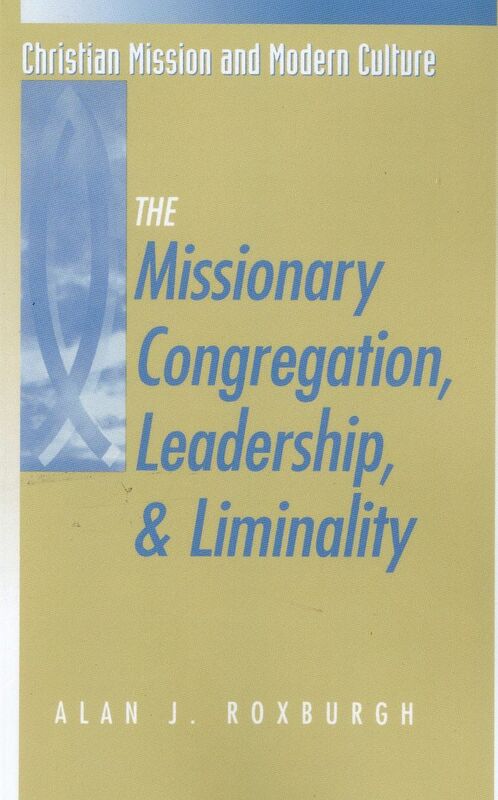 In chapter 2 Pastor Roxburgh explores Victor Turner's book-length essay on liminality, The Ritual Process: Structure and Anti-Structure, (Cornell University Press, 1969) as a framework to help us understand the church's experience. The concept of liminality usually is applied to rites of passage and involves the stages of dissolving the old status and structure or identity, experiencing a ritual than changes one’s identity and then reintegrating into the group in a new status. Pastor Roxburgh uses the Mertonian concept of structure as a conscious awareness and recognition: important for this chapter. In a liminal state the group - and I'd add the individual - has been removed from its former identity, from its embeddedness in social structures. He observed how in preindustrial societies the liturgical rites of passage "channel the anxiety and ambiguity" and the outcome of a formal and foreordained rite of passage is predictable and foreseeable, that in itself mitigating a lot of anxiety; we have no such liturgies to compensate for our own anxieties about the liminalities in our own individual lives and in our churches! Page 31: "The margins, therefore, become the place most characterized by the sacred." In the desert Israel first rendezvoused with Yahweh, and the desert frequently becomes the place of our meeting God and of self-encounter, as well. For us as Christians, baptism is our primal liminal experience. As we enter the waters, should we be prepared to drown? Yes! And equally prepared to be surprisingly raised from that death by drowning! On a somewhat different subject, for some time "The Church" was simply CHURCH in a generic, more-or-less comfortably socially expected and validated way, but during those years it wasn't truly manifest as the Church of Jesus Christ. These days "Church" often seems to be equated with Religious as opposed to Worldly…or whatever, but your describing "The Secular World" as buzztalk for some kind of, any kind of "fluid, ever-changing" experience fits well: IOW, if it's not religious it's secular? do you remember - really remember - your own experience of puberty? Did you have anything like a rite of passage during those tumultuous years? Yes, sometimes clearly and sometimes in a haze I remember...I could write about a lot of people, places and events, but for me the primary adult-ing experience in my life definitely was getting my first job and earning my own $$$! Surprisingly, I don't remember the first time I drove alone, but my first car was important, too, and the financial responsibility so freaked me out I paid it off in a little over half the term of the loan :( :) Also regarding the car, the first time I passed another vehicle on the freeway was a tremendous high that really made me feel adult! First steady BF (though I don't recall my first date), first solo piano recital I played. Regarding the exterior and interior changes that happened to me as a result, I need to think this through.